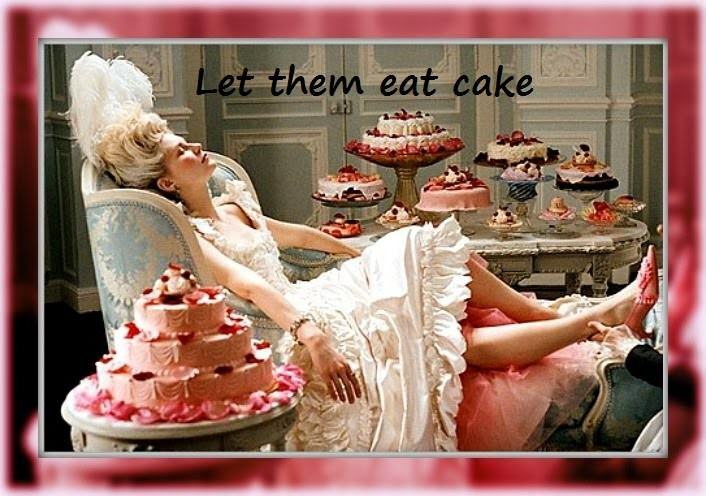 “Let them eat cake” is the infamous answer Marie Antoinette gave when she was informed that poor French citizens could not afford bread. I can easily imagine Dave Gerrard, Steve Johns, Bruce Cotterill and Gary Francis saying the same thing. Johns and Francis stuff thousands of Swimming New Zealand (SNZ) dollars into their pockets while New Zealand’s best swimmers are out hustling to find enough money to get to a World Championship. The order of priorities is of Antoinette proportions. The really outrageous aspect though is the impression that Johns and Francis don’t care. They wander around with their clip boards, drinking coffee and acting like some swimming royal family. Talk about master and slave; the divide in New Zealand swimming is as huge as it is disgusting. It does not make it any better but New Zealand is not alone. Johns and Francis are not the only administrators who look after themselves at the expense of the athletes. FINA has been doing the same thing for years. to many tens of millions (some say over 100m) in reserves and a budget on bureaucracy that far outweighs those prizes for swimmers, 10k a win the top whack. The total prize money pot for the entire world champs is less than the winners of Wimbledon get: the tennis grand slam’s prize pot was £34m (about $45m) this year, with singles title winners receiving £2.25m each. SNZ is the same. It follows slavishly behind FINA – demanding absolute control of everything including rights to swimmer’s images and income. If Gerrard, Cotterill, Johns and Francis really had New Zealand swimmers interests at heart they would have been on the phone to ISL getting New Zealand swimmers into the Turin meet. This event is going to be the professional breakaway that changes swimming in the way tennis was changed by Rod Laver and Lew Hoad. SNZ should be in there leading the charge. Perry, Hunter, Clareburt and half a dozen others should abandon their trip to China and be on an airplane to Turin this month. That’s where the future of swimming is being forged. Of course Gerrard, Cotterill, Johns and Francis won’t see it that way. Like FINA they will threaten to suspend any swimmer who competes in the ISL. FINA have already banned participation under a threat of “disqualification”. But remember this – the motives of Gerrard, Cotterill, Johns and Francis are selfish and personal. They don’t care a toss for the future of Hunter or Perry or Clairburt or any other swimmer in New Zealand. They have a vested interest in preserving the status quo. Gerrard wants to preserve the ego trip he gets from being SNZ President and the perks he receives as a WADA committee chairman. Cotterill, Johns and Francis want to hold on to the $523,088 spent on their wages and associated costs, the $22,257 spent on leasing their posh SUVs, the $71,692 spend on renting extravagant office space and the $23,008 handed out to six members of the Board. They are living the high life while the workers starve. They are eating cake while the swimmers can’t afford bread. Why would Cotterill, Johns and Francis want to support the ISL’s commitment to 50% of all revenue being paid to swimmers? They want that percentage and more to continue going directly to them. Gerrard, Cotterill, Johns and Francis are not going to do anything to reform world swimming. They are not going to risk FINA’s scorn by doing something that benefits New Zealand swimmers. If they were, SNZ would already be involved in close discussions with the ISL directors who clearly are leading swimming to a better place. They would be sending swimmers to the first event. They would be adding to the pot of money being offered to successful swimmers. And they would be doing all in their power to bring about a world where top swimmers can earn a good living. But instead Gerrard, Cotterill, Johns and Francis will continue to decay and rot in their down-under Antares Place backwater wondering why the sport in New Zealand is not successful. It’s because all of them lack the quality of vision. They are devoid of the most basic skills of leadership. None of them have the qualities that gave women the right to vote first in the world or split the atom or climbed Mt. Everest or provided school children with free milk or built state houses. How do we know? The ISL and Marie Antoinette told us – that’s how. This entry was posted on Wednesday, November 7th, 2018 at 8:47 pm and is filed under Training . You can follow any responses to this entry through the RSS 2.0 feed. Both comments and pings are currently closed.